I’ve said it before, but I feel the need to say it again, according to Ernst & Young, up to 90% of products fail to become brands, despite US$1.5 trillion spent on marketing every year. Despite massive marketing budgets, global brands with extensive reach and high brand recall, numerous brands have died a painful and often avoidable death. Despite those massive marketing budgets, brand loyalty is decreasing and customer dissatisfaction is increasing. So why do companies insist on investing massive amounts of money in marketing even though it is proven to be inneffective? There are a number of reasons – ego, inertia, fear of the unknown and fear of change, herd mentality and more. But for the smart companies, think Dell, Amazon, Google, McDonalds, Walmart, Public Bank, Toyota, yes Toyota and many more, the halcyon days of inneffectiveness are over for marketing people and smart CEOs and CFOs expect, no demand greater accountability and more sustainable results from their marketing investments. 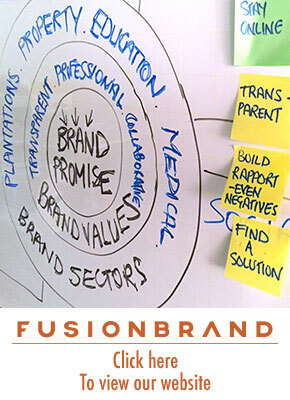 When branding was little more than a creative driven concept where a logo was used to make a name stand out and the world was much larger and competition was limited, the four Ps and old world communication goals such as reach, positioning and awareness were often enough to build a brand, then branding was little more than a subset of marketing. But that US centric mass economy era no longer exists. The world is a much smaller, competitive and very different place today and branding has taken on a much more important role within the organisation. Moreover, consumers are more enlightened and cynical and no longer pay much attention to traditional marketing efforts. Key areas are retention (95% of marketing efforts are aquisition focussed yet very little is spent on retention so as 1 customer is expensively aquired, an earlier one also expensively acquired, walks out the door to the competition. Many companies lose money on the first sale. In the case of technology, it could be the first million sales. Brands are built on the 2nd, 3rd 4th and so on sale). Organisational excellence (if you don’t do everything effectively and efficiently and on personalised customer terms, you won’t survive). Economic, experiential and economic value for customers (on their terms) and measurement. It’s not only marketing that is now part of branding, it is also the supply chain, customer service, accounting, sales, purchasing and so on. The world has changed and if you own a company, you need to change with it. You owe it to your shareholders, your customers, your staff and yourself. 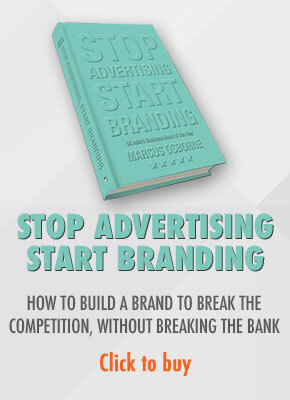 It is time to stop wasting money on proven inneffective marketing and start investing in your brand.